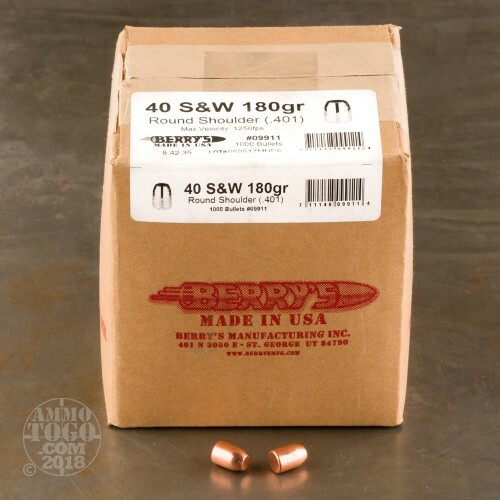 Berry's Bullets are the best copper plated projectiles available and are well known to handloaders for consistent measurements and affordable prices! Berry's manufacturing process is backed by over 50 years of experience and involves using electrolysis to bind copper plating to swaged lead cores. After being plated, the bullets are double-struck and carefully inspected for hardness, uniform thickness, and precise diameters. 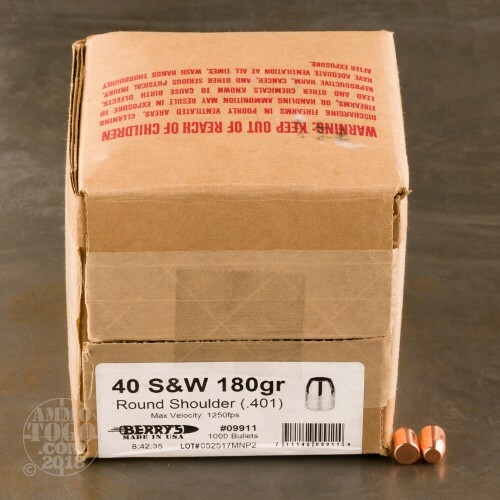 These "round shoulder" .401 diameter bullets are designed to take up less space in a brass casing for expert reloaders who want to experiment with different loads and resulting power factors. This allows you to tailor your custom .40 S&W loads for legal use in USPSA and IPSC or to craft 10mm Auto ammo suitable for range drills. Each bullet has a practical weight of 180 grains and a flat point nose which makes clear, discernible holes in cardboard and paper targets. 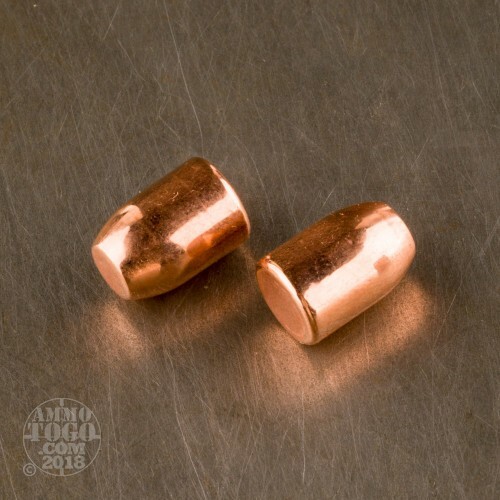 Thanks to Berry's unique methods, these plated bullets are rated to remain stable up to 1,250 feet-per-second.